A private Dell is a happy Dell? There's been some speculation that Dell will restructure to focus less on PCs now that the company is going private, but CEO Michael Dell laid those fears to rest in a recent memo to employees. The memo was published this week through the Securities and Exchange Commission (SEC). 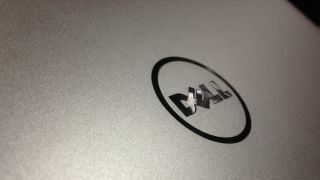 In it, Dell described plans to "significantly increase investment" in the PC and tablet business. "While Dell's strategy in the PC business has been to maximize gross margins, following the transaction [to go private], we expect to focus instead on maximizing revenue and cash flow growth with the goal of improving long-term sales and competitive positioning," Dell wrote. In this public memo, Dell made an effort to confirm that the company will continue to focus on PCs and tablets - despite the contrary message conveyed in another recent filing with the SEC. In that 274-page document, Mr. Dell and other Dell executives described the "uncertain adoption of the Windows 8 operating system" and "deteriorating outlook for the PC market as a result of, among other things, smartphones and tablets cannibalizing PC sales" as reasons for the company wanting to go private. Without stockholders breathing down its neck, Dell could presumably move in different directions. But Microsoft's $2 billion investment no doubt had something to do with Dell's continued focus on the PC and tablet market, and we can't argue with the hardware maker if it wanted to improve in its current arenas before branching out too far. But Mr. Dell also mentioned Dell's enterprise business in the most recent filing, writing, "We've made so much progress in building out our enterprise capabilities. "With leading offerings in servers, storage and networking, our Active Infrastructure is a converged solution that is second to none," he continued, indicating that hardware won't be Dell's only focus. Dell's memo also outlined numerous other plans to help improve Dell's fortunes moving forward. Those include plans to invest in R&D, hire more more sales personnel, compete in emerging markets like Brazil, Russia, India, and China, and "simplify and enhance" the customer experience. As Engadget pointed out today, that's just good business practice, or what we like to call common sense.